It was about 4:30 p.m. on a Friday, and Arthur Burton was standing on a pier by Fort Tabor in New Bedford, Massachusetts, with a fishing pole. Burton is looking for stripers, or striped bass, blues, also known as bluefish, and tautog. If it's the right size, the fish will come home with him. If they are too small, back in the water they go. But one thing that isn't weighing into his decision: pollutants in the fish. Burton isn't alone. Despite an approximate 35-year clean-up of the harbor, there are still harmful levels of toxics in the fish. 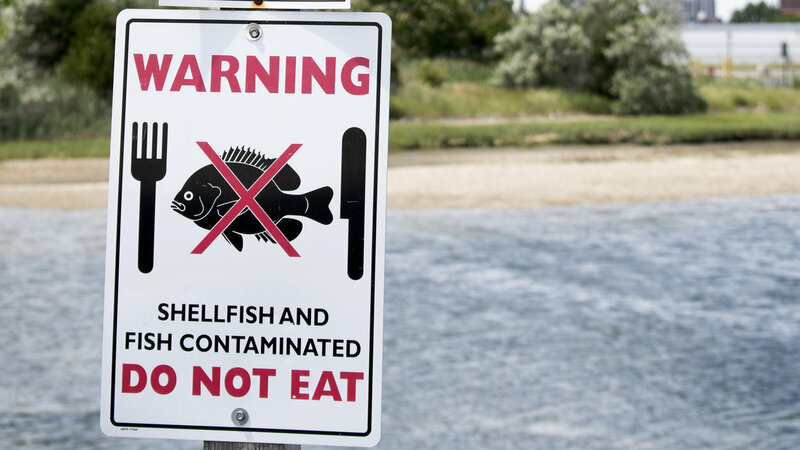 The Environmental Protection Agency and local city officials have put up signs and have worked to spread the word about contaminated fish, but studies suggest the local anglers are still eating far too many toxic fish. PCBs were used in electrical equipment and as industrial solvents. The chemical family was banned in the 1970s amid concern that PCBs bioaccumulated in wildlife and people. The chemicals are fat soluble and prefer to bind to fish tissue over the sediment. Fish can eat PCBs by eating smaller fish or life growing in the sediment, or they might absorb the PCBs through their skin, Superfund expert David Carpenter, director of University at Albany's Institute for Health and the Environment, told EHN. The EPA's fishing regulations are posted near Closure Area 1, and there are other signs around the area to indicate that people should not eat the fish. But the signs are not as obvious in parts of Closure Area 2 where other fishermen are catching fish, including by a boat ramp where Joe Moniz, a New Bedford resident, was fishing with his daughter. Neither of them eat the fish they catch. In 2016, the EPA released a memo about their first year of outreach efforts with fishermen, reporting that during 70 visits to Closure Areas 1 and 2, they found approximately 230 people fishing. Of the 73 that answered whether they ate the fish they caught, 62 said yes. The majority of the fishermen also said that they ate the fish weekly, according to the memo.